Vive Dermatology offers comprehensive medical, cosmetic and surgical dermatology services and treatments. We provide care for patients of all ages, including infants and children. Our board certified top university affiliated dermatologist treats a wide variety of conditions affecting the skin, hair, nails and mucosal surfaces. Our procedural dermatology fellowship trained surgeon specializes in Mohs surgery, melanoma treatment, excisions, laser surgery as well at a variety of cosmetic procedures such as Botox, filler, PRP, sclerotherapy and much more. I am so grateful to have found my dermatologist Susan Bard MD. She’s literally the best in New York City. I would be happy if all my physician specialists could just be in this same office. I’d be in ... doctor heaven? Ha. Anyway. 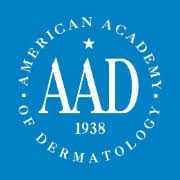 Super nice office and brilliant dermatologist who knows how to treat autoimmune related skin issues - which is rare!! Dr. Susan Bard is incredibly smart and has wonderful bedside manner. She knew right away what was going on with my son. After using the creams prescribed, my son was healed in 3days. I absolutely LOVE her. Without hesitation I would highly recommend her to all of my friends and family and anyone looking for a highly reputable dermatologist.